Uninvited opinions are unpleasant acts visited on the unwary by those whose idea of good conversation is to hear themselves speak on any topic of opportunity that others, not as wise as they, ought to know! It is difficult to accept correction from other people. How do we judge the quality of correction when someone offers advice or criticism? I look at the unhappy lives of many of the people giving input, and think that their advice isn't worth much if they have such difficulties. On the other hand, I might be missing some valuable correction. Any advice? Do you remember the old expression "If the shoe fits, wear it"? Well, in our spiritual work, any reaction we have to a correction proves that our shoes not only fit, but they are laced too tight. We can use everything that is thrown at us (right or wrong) to walk away from what is wrong within ourselves. This path naturally turns every so-called "wrong" into a Right. I have great trouble dealing with friends and loved ones who ask me how I am doing with "the Lord" -- especially when they then commence to teach me the error of my ways! How can I better deal with these moments than by just getting mad? We must each learn what it means to "lay down our lives for our brothers." The inner meaning of this is that it takes great interior patience, understanding, and eventually compassion to bear the unpleasant and often arrogant manifestations of people around us who, asleep in their unconscious righteousness, believe they are doing what is right. In this instance, you can use these individuals and any such encounters as a "spiritual springboard." What does this mean? Use your irritation to come awake to yourself. Consider the beam in your eye. Leave the others alone. If you'll try this, you'll begin to break free from the wrong parts of yourself that make you feel righteous in judging others. They will never know the sacrifice you are making, but you will, and freedom follows. Is there a way we can know we are ready to teach others? I have tried and found I normally make things worse. How do I find the balance between the urge to help and when to be quiet? It is the essence of our lives that determines the relationships we have with others. Teaching is a lot simpler than we imagine. For instance, what do we teach others when we are angry or anxious? What do we teach others when they see us afraid of some news? This is one level of teaching. On the other hand, there are natural times when (and this is important to note) someone you know will actually ask you for some insight or help. Then not only is it natural, but necessary, that you give what "water" you can to ease their thirst. Under no circumstances should you try to teach others anything they haven't asked for. This kind of teaching comes from the wrong parts of ourselves and is a secret act of aggression and arrogance. Learn to taste the difference. The Truth will take care of the rest. In conversations with others, I find myself insisting on being "right." Why should I care so much that my ideas about life are understood by others? Be willing to try to understand the moment instead of needing to be understood in it. You will lose yourself, and you will begin to have the great bliss of disappearing from your own life. At first, as you are willing to work to understand others more than you want to be understood by them, it seems a diminishing experience. But you will grow through this kind of self-negation into a new sense of yourself that actually includes all of life. You will begin to have a completely different relationship with everyone around you because you are no longer bringing yourself first and foremost into every relationship. 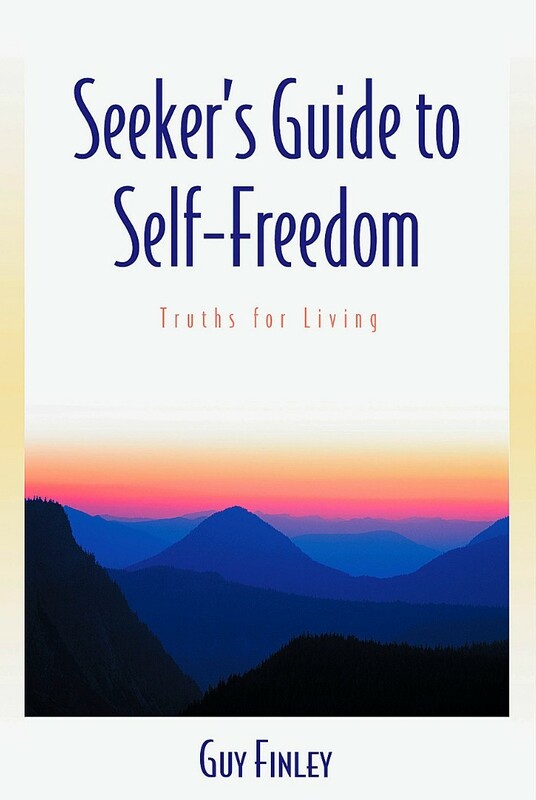 Excerpted From: Seeker's Guide to Self-Freedom: Truths for Living, pages 173-179.